This summer friends and supporters of HART have spoken out for civilians still trapped in the Nuba Mountains and Blue Nile State. 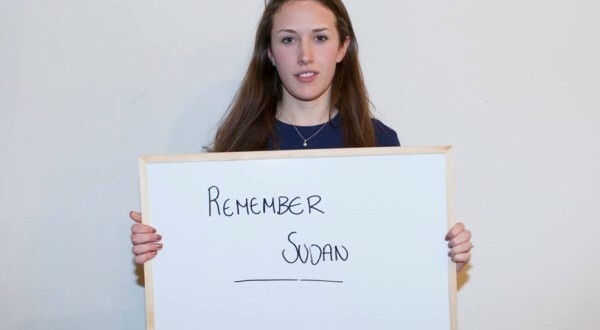 The Remember Sudan photo petition is a collection of messages from people in Sudan’s Nuba Mountains and Blue Nile State and from people in Britain wanting to add their own voices. Remember Sudan draws attention to the continued atrocities being committed against civilians by the Sudanese Government. The 6th June 2013 marked two years since civilians living in the Nuba Mountains and Blue Nile State became the targets of bombing from Antonovs and incendiary bombs. The cries of those living in the Nuba Mountains and Blue Nile go largely unheard. Hundreds of thousands of people have been displaced, injured and killed. Communities take refuge in mountain caves and river banks, whilst others have fled to South Sudan, where Refugee camps are beyond capacity. Bombing has caused severe food shortages, as crops are destroyed, trade is impossible and International Humanitarian relief access has been blocked by the Sudanese Government. This campaign calls on the British Government and the international community to act in order to bring an end to these atrocities: to ‘Remember Sudan’.